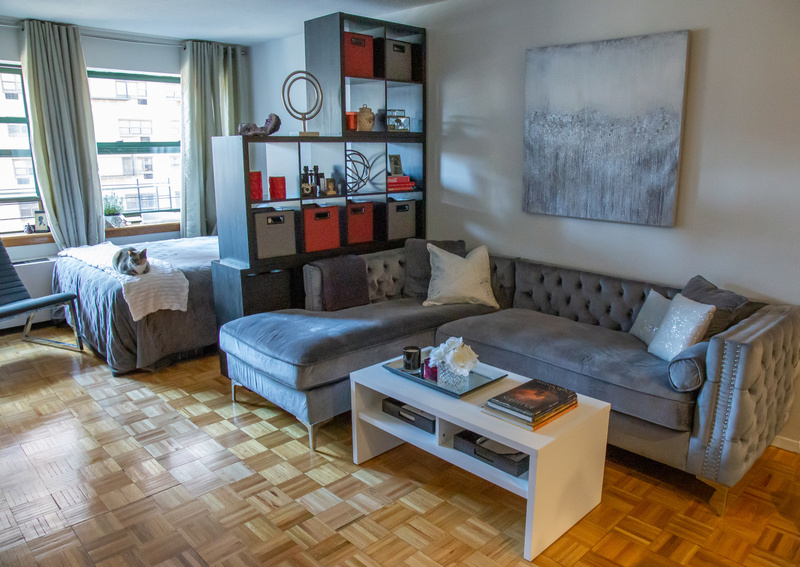 Sharing a space with your significant other can make things complicated, especially when two worlds are forced to collide into a single closet. Trying to organize for two in a space meant for one can be a recipe for disaster -- both in your home and in your relationship. A recent survey of 1,000 couples who live together found that 46 percent say there’s a particular item belonging to their partner they would love to get rid of and one in five has actually tried to secretly discard that item. We don’t blame you for hating his dad jeans from the ‘80s, but it’s better to take the time to decide what to get rid of together. This will avoid a potential argument while freeing up space in your closet, making it much easier to get organized. 2.) Divide your space in half -- and stay there. Split your closet in half. 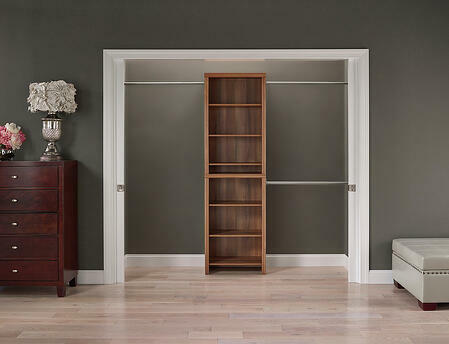 Designate equal sides so that you each have your own space within your shared closet. Commit to keeping everything separate and neat, which will prevent you from feeling smothered by your partner’s clothes. 3.) Assess your individual needs. 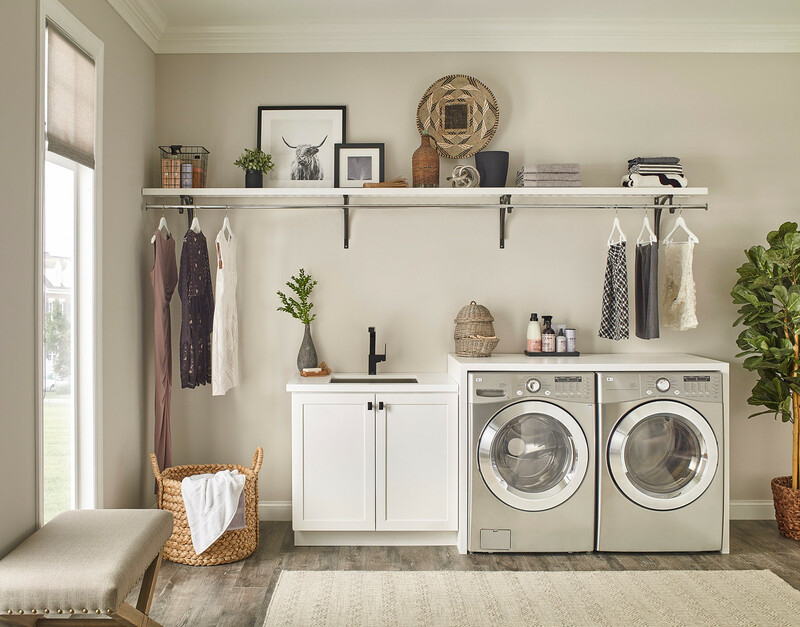 Now that you’ve freed up some space, think about both of your individual needs within your shared closet. 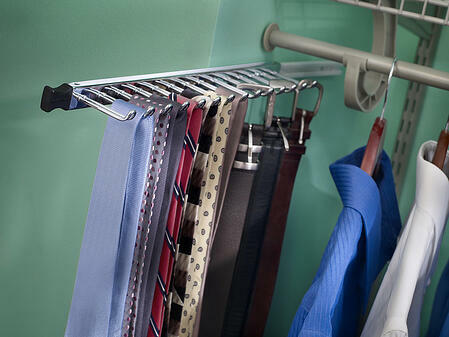 If your partner has an extensive collection of belts and ties, consider storing them on a vertical rack to save space and prevent things from getting messy in a drawer. 4.) Use drawers to organize and store. 5.) Take advantage of unconventional space. Since you’re sharing a single closet, you need all the space you can get. Utilize every inch of your closet, especially under-appreciated areas like the back of the closet door. An over-the-door shoe rack is perfect for any shoe lover and will prevent shoes from ending up in a pile on the floor again. 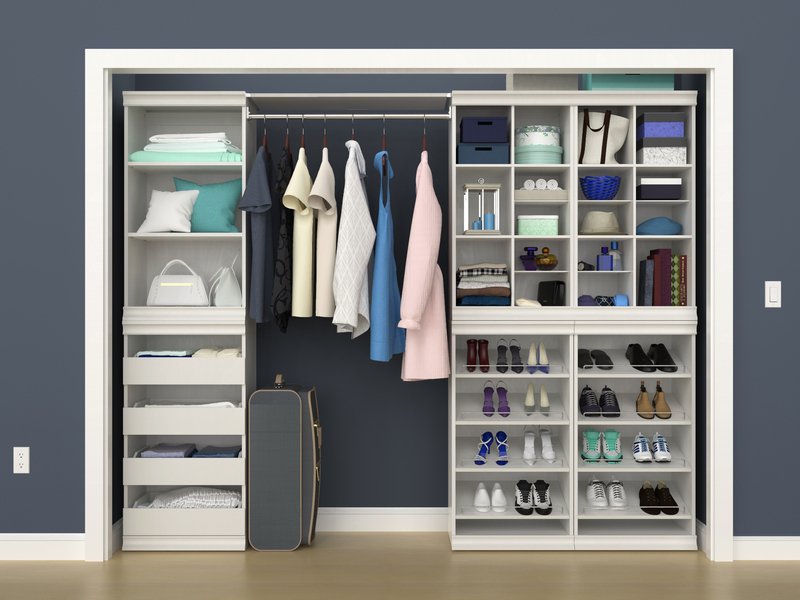 Sharing a closet isn’t easy, but we hope these tips will help you and your partner tackle the task together and create a space that works for both of you. 0 Comments on "5 Tips on How to Share a Closet"